New editorial board members are wanted for Applied Medical Research. If you are one of the active and hardworking academicians who are studying Medical areas, send your CV to editor@scopemed.org. High Sensitivity C-Reactive Protein: Could it be used as a Cardiovascular Risk Predictor in Hemodialysis Patients? Hemifacial Microsomia with bilateral ear involvement. 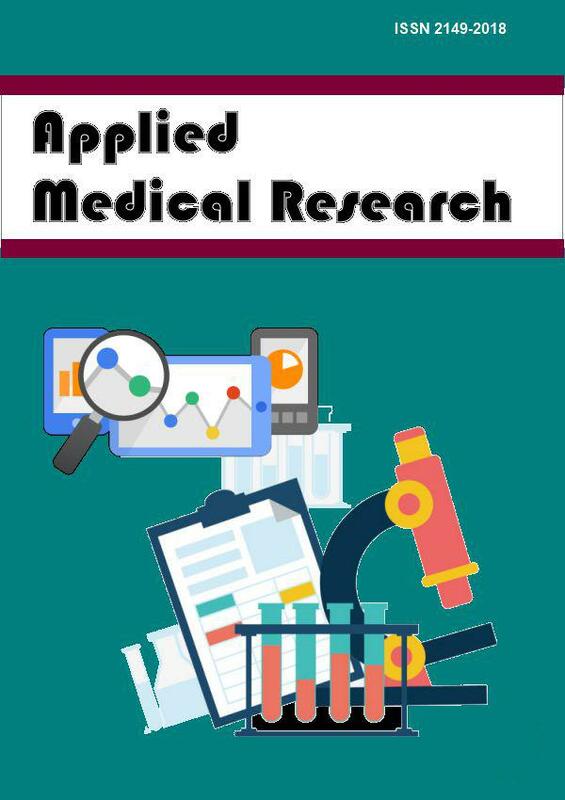 The articles in Applied Medical Research are open access articles licensed under the terms of the Creative Commons Attribution Non-Commercial License (http://creativecommons.org/licenses/by-nc-sa/3.0/) which permits unrestricted, non-commercial use, distribution and reproduction in any medium, provided the work is properly cited. Copyright © 2019 Applied Medical Research All Rights Reserved. Subject to change without notice from or liability to Applied Medical Research.